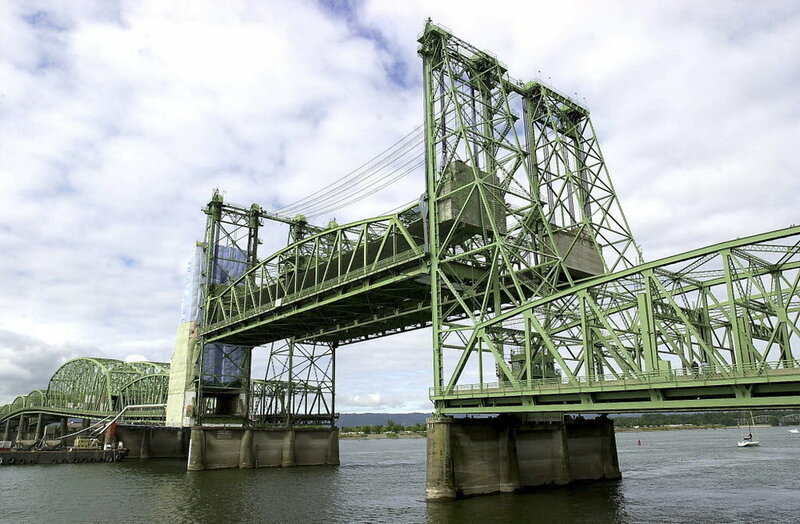 Untimely bridge lifts delay and irritate motorists and freight haulers crossing the Columbia River on I-5. The City of Vancouver has stepped forward with a resolution seeking to restart a conversation to replace the bridge. Traffic and backups on I-5 haven’t abated and untimely Columbia River bridge lifts continue to slow and frustrate commuters, shippers and motorists just trying to get through. An effort to resume discussions of a new bridge is beginning to take shape. The Vancouver City Council voted unanimously this week in support of replacing the I-5 Columbia River bridge. The Council resolution also asked Governor Jay Inslee to “provide adequate funding” for the Washington Department of Transportation to relaunch the process that came to a sudden stop in 2015 after Washington lawmakers refused to commit their share of costs and Oregon officials pulled the plug. Other Southwest Washington municipalities may follow suit, with the goal of creating momentum that brings – or drags – Oregon policymakers back to the table. That may be more complicated as Oregon transportation officials are finishing up recommendations to toll some or all of I-5 and I-205. The purpose of the tolling is to reduce congestion. Revenue raised from tolls would go to Oregon roadway investments, not a new I-5 Columbia River bridge. Washington Congresswoman Jaime Herrera Beutler has threatened to block Oregon Interstate highway tolls because of what she views as their disproportionate impact on her constituents. If bridge talks do restart, the extension of light rail to Vancouver may remain a sticking point. Attitudes north of the river may have changed, but a transit component may be a precondition for Oregon officials to re-engage. The Vancouver resolution addresses this challenge by seeking a bridge replacement that includes “high capacity transit with a dedicated guideway.” This language would allow for either light rail or bus rapid transit on a new bridge, and presumably would provide some breathing room for future debate on both options. Bus rapid transit has been embraced as a more affordable alternative in some areas in Clark County outside of Vancouver. The timing of renewed discussion also presents challenges. Oregon lawmakers passed a major transportation and transit measure in the 2017 legislative session. It contained no provisions relating to a replacement I-5 Columbia River bridge, but did create a panel to review mega projects in the state moving forward. Based on past experience, another major transportation funding proposal would be difficult unless party leaders put their full weight behind a new bridge project. Veteran legislative leaders such as Senate President Peter Courtney and House Speaker Tina Kotek may see this as an opening on a legacy project. One of the failings of the Columbia River Crossing effort was its single focus on a new bridge and related highway improvements. In reality, Portland-area and Southwest Washington residents and businesses have broader transportation interests in common as population growth and business expansion continues on both sides of the river. Vancouver officials have signaled a willingness to pursue some kind of bi-state partnership to identify common ground, regional transportation objectives and a strategy to find a bridge solution. Collaboration has occurred at the ODOT-WSDOT level and there have been coalitions in both states supporting a new bridge, but elected officials haven’t driven the strategy or policy decisions. 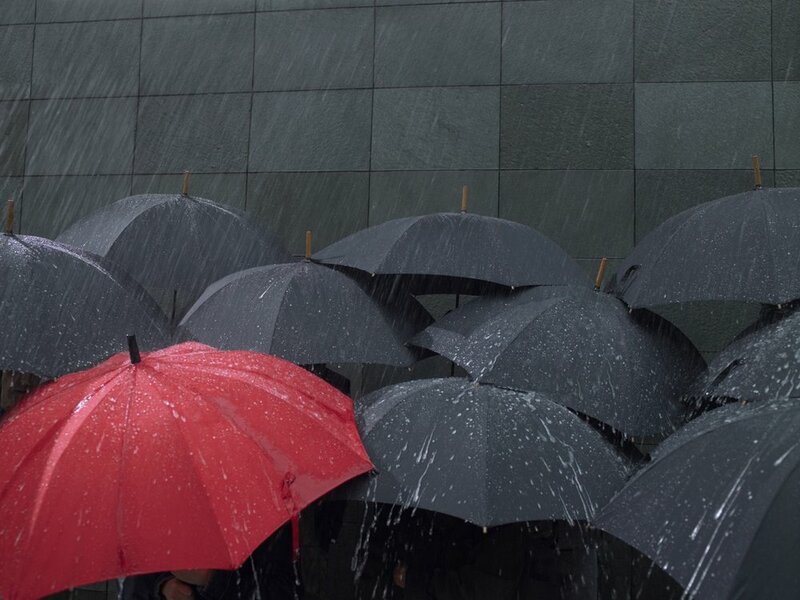 Economist Bill Conerly gives Oregon some love in a Forbes article that praises state policymakers for the fiscal discipline to create a Rainy Day Fund that now has grown to a size that should protect the state budget during an average-size downturn. The economy is still growing, but someday it will stop. Economist Bill Conerly says Oregon state government, despite its liberal bent, is better prepared to meet the fiscal challenges of a recession than most states, including traditionally conservative ones. In the article, Conerly cites his personal experience advising Oregon policymakers following the crippling recession in the early 1980s. “State revenue fell so much in 1982 that the Governor [Atiyeh] had to call four special sessions of the legislature in one two-year budget period, plus two more special sessions the next biennium,” he said. That led to formation of the Governor’s Council of Economic Advisers. As a member of the Council, initially appointed by Atiyeh, a Republican, and subsequently retained by five Democratic governors, Conerly said it became painfully obvious that revenue forecasts aren’t always accurate. Oregon’s fiscal situation is complicated by the state’s heavy reliance on personal and corporate income tax revenues, which can balloon in good times and tank in bad times. “The state’s revenues swing wildly with fluctuations in corporate profits, capital gains and the earnings of small business owners, commissioned sales people and corporate executives on bonus plans,” Conerly explained. To compensate for sharp fluctuations in tax revenues, Conerly and his Council colleagues suggested creating a rainy-day fund. Secretary of State Dennis Richardson says allowing Oregon candidates to accept cryptocurrency contributions would be an innovative way to expand political participation. Others like Treasurer Tobias Read aren’t so sure as they worry about cryptocurrency’s “secretive nature” that could be used to cloak the identity of campaign contributors. With political insults flying freely, it would be easy to miss this quirky bit of political news – Oregon may allow candidates to accept cryptocurrency campaign contributions. Oregon Secretary of State Dennis Richardson is proposing a rule that he says mirrors a 2014 Federal Elections Commissions rule permitting Bitcoin contributions. Richardson said cryptocurrency donations to candidates would be treated the same as stock contributions and, in his view, would expand participation in state elections. “Cryptocurrency is here to stay,” Richardson said. Cryptocurrency exists digitally, not physically. It is encrypted for security reasons, but not issued by any governmental authority. Its value is determined organically and can fluctuate. Under Richardson’s proposed rule, a candidate receiving a cryptocurrency contribution would be required to report at its market value the day of receipt. If the cryptocurrency rises in value, the candidate must report the gain. Similarly, if the currency loses value, the candidate must list the loss as if it were an expenditure. The FEC rule allows cryptocurrency contributions up to $100 in federal elections. However, Oregon doesn’t have limitations on contribution amounts, which is potentially significant since the value of a Bitcoin is hovering around $6,000. It has ranged as high as $20,000. Despite limits, the Register-Guard said one California Democratic House candidate reported nearly $200,000 in cryptocurrency contributions. The public will have a chance to comment July 23 in Salem on the proposed state rule allowing cryptocurrency contributions. A new report by the Coalition of Communities of Color dispels the image of Washington County as an all-white enclave by revealing its growing racial and ethnic diversity – and pointing to lingering inequities and bias. Washington County is often referred to as the heavily white and well-off suburbs to the west of Portland. That description falls far short of being complete or accurate, as demonstrated by a new report released this week by the Coalition of Communities of Color. Washington County’s population in 2017 was estimated at 591,350. The report calculates that 223,748 of those residents, or almost 38 percent, are from communities of color, led by a Latino population totaling 96,034. A main purpose in conducting research and preparing the report was to measure the racial and social justice of this sizable chunk of Washington County’s population. “Communities of color in Washington County, compared to their white neighbors, experience disproportionately negative outcomes in employment, income, education, community safety and health,” the report says. Vietnamese and Filipino workers have lower incomes than white counterparts with the same level of education. High-income black and Latino applicants are more likely to be denied home loans compared to while applicants. Somali-speaking students are 197 percent more likely than white students to be expelled or suspended from school. 68 percent of Native American single mothers with children live in poverty, which is substantially higher than the national average of 48 percent. The report includes sections about different communities of color including Native American, African, Asian, Latino, Middle Eastern and North African, Pacific Islanders and Slavic. Each section shows the size of that community in Washington County and offers a few factoids. For example, 50 percent of Middle Eastern and North African community members have at least a bachelor’s degree and 57 percent of the county’s Asian population are immigrants. Organizers of the research say the findings aren’t intended as a commentary on current events affecting immigrants. "We were mindful that we were writing this report under the current dispensation, but this report isn't just about the current dispensation," Shweta Moorthy, who wrote the report, said in a Beaverton Valley Times interview. The report concludes with an 8-point call to action that include pay equity, political representation, celebration of diversity, educational opportunity and culturally specific services. It also includes a plea to continue research justice to track progress. There has been a dearth of attention to federal legislation tucked away in the congressional budget package earlier this year that could be a game-changer for many young people facing the prospect of entering the foster care system. Foster care has drawn a lot of attention in Oregon, but surprisingly little of that attention has focused on under-the-radar congressional passage of the Family First Prevention Services Act as part of the budget deal approved in February. Appearing on Oregon Public Broadcasting’s “Think Out Loud,” Senator Sara Gelser, a Corvallis Democrat who has led the charge on foster care reforms in Oregon, praised the federal legislation for reimbursing services intended to prevent children from entering the foster care system. The legislation allows for federal reimbursement of up to 12 months of mental health services, substance abuse treatment and in-home parenting skill training. Language in the bill seeks to give states an incentive to reduce foster care placements in congregate care facilities. States are required to develop a plan to use the enhanced federal resources to find safe alternatives to foster care. Senator Sara Gelser has been a strong advocate for foster care reforms in Oregon and is leading a work group to develop Oregon’s plan to tke advantage of new federal resources made available by the Family First Prevention Services Act. Provisions continue and enhance child and family service support programs, including $8 million for competitive grants to support recruitment and retention of “high-quality” foster families. The legislation reauthorized the Stephanie Tubbs Jones child welfare services program, the Court Improvement program and the John H. Chafee Foster Care Independence Program. Chafee supports can continue until a youth reaches age 23 and training vouchers can be extended until age 26. The legislation also reauthorized the Adoption and Legal Guardianship Incentive Payment Program, which is viewed as a crucial tool to keep children out of foster care. Compared to other states of similar size, Oregon has nearly double the foster care utilization rate with an average of 7,600 kids receiving care every day (based on 2016 numbers). This results in high caseworker turnover in Department of Human Services due to burnout, extreme stress on existing foster parents and a more difficult time recruiting new foster families to help with the caseload. Gelser says work is underway on the required Oregon plan to take advantage of the legislation. She recently convened a work group made up of advocates, providers, agency leadership and other lawmakers to dive into the policy implications of FFA and prepare a roadmap for success. How the feds interpret key provisions of the new law will directly impact Oregon and this group will prepare recommendations and advice to the US Department of Health and Human Services before guidelines are released this October. Dale Penn II is a partner and leader of the CFM’s state affairs team. 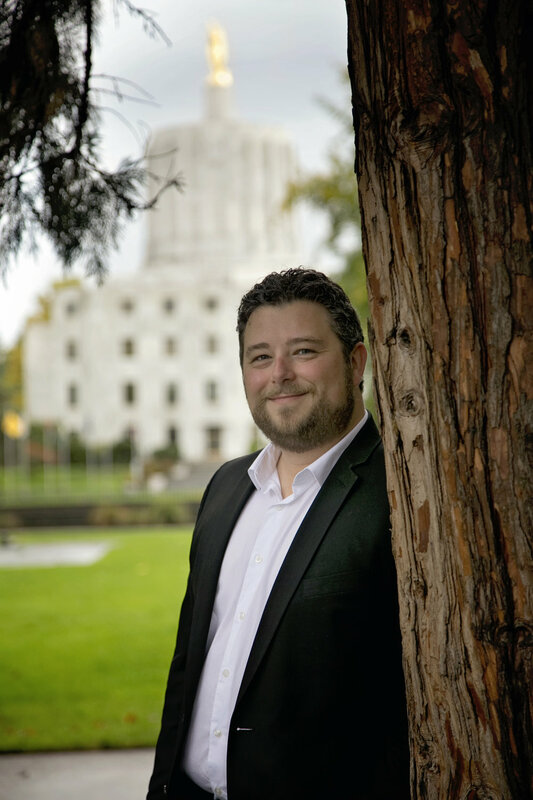 He has been deeply involved in government relations and regulatory affairs in Oregon for more than 12 years and was active on behalf of a range of clients in the 2018 Oregon legislative session. Oregon’s economic forecast continues to look rosy, but also a little “bizarre,” according to State Senator Mark Hass, D-Beaverton, because the strong economy contrasts with struggling schools and Oregon’s unique personal income tax kicker law. Legislative newsletters and press releases can be informational, but not always newsy. The one dispatched today by Senator Mark Hass combines informational and newsy. Senator Mark Hass, whom the Portland Business Journal referred to as Oregon’s Mr. Fix-It, hopes the work of the Joint Committee on Student Success, a rosy economic forecast and the prospect of returning a half billion dollars to state taxpayers could prompt action on Oregon’s volatile tax system. The occasion for the communication from Hass, a Beaverton Democrat who chairs the Senate Finance and Revenue Committee, was the release of the latest quarterly Oregon economic forecast. 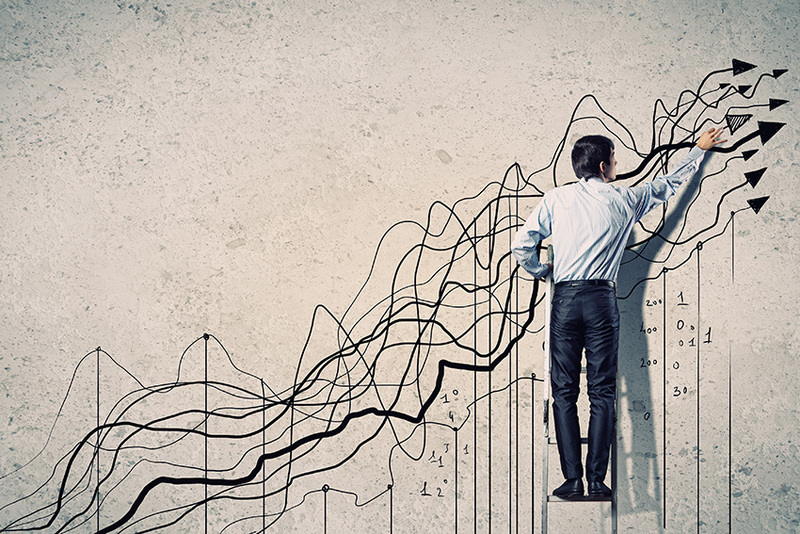 A booming economy also means higher-than-projected state tax revenues – quite a bit higher. Hass says state coffers will have $911 million more revenue than was projected in the state’s two-year budget approved during the 2017 Oregon legislative session. This may not be new “news,” but it isn’t information that makes its way into a lot of political discussions these days. When it does, it is usually in the context of calling for more revenue or blaming the Public Employees Retirement System for Oregon’s unsustainable spending. Hass threads the needle differently. He says fixing Oregon’s “bizarre confluence” of a strong economy, struggling schools and a personal income tax kicker should occur during economic good times, not economic bad times. Warning signs abound, he says. Oregon’s economy is still growing, but the pace of its growth is slowing. The housing affordability crisis is taking its toll on many Oregonians. Personal income taxes make up 80 percent of the state’s General Fund, while corporate taxes contribute 6 percent. Hass hasn’t given up on some type of tax reform, but is concentrating his efforts leading up to the 2019 legislative session on traveling around Oregon as part of the Joint Committee on Student Success, talking to students and education and business leaders. State Rep. Knute Buehler overcame more conservative GOP candidates to win the right to challenge incumbent Democratic Governor Kate Brown this fall in what could emerge as a marquee matchup this fall when a “Blue Wave” is anticipated nationally in the mid-term election after Donald Trump’s captured the White House in 2016. Oregon’s primary election didn’t excite voters as reflected by historically low turnout, but it did set the stage for what could be engaging contests in November. Knute Buehler overcame a handful of more conservative GOP candidates to grab the Republican gubernatorial nomination, giving him a chance to carry on his vigorous campaign to unseat incumbent Democratic Governor Kate Brown. Both wasted little time launching their general election campaigns. Before the votes were tallied Tuesday, Brown called for three formal debates and urged as many joint appearances as possible hosted by media outlets. Buehler scheduled a press conference Wednesday morning at the headquarters of Portland Public Schools to lambast a teachers’ union for “protecting a predator” who allegedly abused children and was transferred from school to school. JoAnn Hardesty and Loretta Smith face a runoff in the fall for a Portland City Commission position, ensuring the election of the first African-American woman on the council. Metro Councilor Kathryn Harrington and Bob Terry will vie in November for the Washington County chair position. Terry is currently the Commission’s vice chair. Former lawmaker Ryan Deckert, whom some observers saw as the frontrunner, finished third in Tuesday’s voting. All five Oregon congressional incumbents easily won their largely ceremonial primary contests. None seem in trouble in the general election, though Republican Congressman Greg Walden may face a spirited challenge from Jamie McLeod-Skinner, who defeated six other Democratic candidates to win the chance to poke at Walden for his support of Trump administration policies. Oregon Democrats have set up a website called “Repeal Walden,” a gibe at his leading role in the failed congressional attempt to repeal Obamacare. Some races were settled in Tuesday’s voting. Shemia Fagan unseated five-term Democratic Senator Rod Monroe in a race that centered on affordable housing policies. With no Republican on the ballot in the East Portland Senate district, Fagan is basically a shoo-in this fall and will help tilt the Senate Democratic Caucus more to the left. Former Eugene lawmaker Val Hoyle defeated long-time Tualatin Mayor Lou Ogden to win the Oregon Labor Commissioner post, replacing Brad Avakian who didn’t seek re-election. Hoyle previously lost in her bid to become secretary of state, but now will become only the second woman to hold the Labor position in the 115-year history of the Bureau of Labor and Industries. Lynn Peterson, a transportation planner and former chair of the Clackamas County Commission, cruised to an easy victory to become Metro president, replacing Tom Hughes who has served the maximum of two terms in the post. Nonprofit executive Juan Carlos Gonzalez received 55 percent of the vote to capture the Metro Council representing the western part of urbanized Washington County that Harrington has represented. Kevin Barton handily defeated Max Wall for Washington County district attorney in what was one of the more visible local races. Barton, who is chief deputy district attorney, withstood a barrage of TV advertising from Wall, a former Polk County prosecutor and now a Beaverton criminal defense attorney. Election filings show the two candidates raised and spent around $900,000 in the campaign. Pam Treece, executive director of the Westside Economic Alliance, defeated incumbent Washington County Commissioner Greg Malinowski. Former Hillsboro Mayor Jerry Willey won the Commission seat vacated by Terry. Senate President Peter Courtney easily shrugged off a primary challenge, the first in a decade. Democrats hope to pick up a pivotal 18th Senate seat in Southern Oregon is a district where GOP Senator Alan DeBoer chose not to seek re-election. They also hope they can capture the Hood River House seat previously held by Rep. Mark Johnson who resigned to head the newly merged Oregon Business & Industry. Oregon was one of four states holding a primary election Tuesday. Voting in Pennsylvania was marked by the primary victories of left-leaning candidates, including two members of the Democratic Socialists of America who won nominations in two Pittsburgh congressional districts. All of Pennsylvania’s 20 House seats are held by males, but that is expected to change with as many as four seats up for grabs for female candidates. In Idaho, Democrat Paulette Jordan defeated an establishment candidate, running on a platform of protecting public lands, Medicaid expansion and relaxed marijuana laws. If Jordan prevails in November, she would be the state’s first Native American governor. National Democrats are hailing Tuesday’s voting, noting larger turnouts and more voter enthusiasm for its candidates. The result of the voting, however, only produced one House Democratic gain in a special Pennsylvania congressional election. The classic way for a challenger to take down an incumbent is to 1) raise doubts about the incumbent’s performance and 2) position yourself as a preferred alternative. Rep. Knute Buehler (R-Bend), the presumptive front-running GOP gubernatorial challenger, has been taking whacks at Governor Kate Brown for months and insisting he could do better. But his political challenge runs deeper. Buehler has to prove in next week’s GOP primary that he is a more attractive candidate than his more politically conservative fellow Republicans. Buehler has raised and spent vastly more money than his GOP competitors, called out one opponent for having 21 tax liens against him and generally avoided mixing it up with fellow candidates in the hustings. This week, Buehler came up with a new tactic: a dress rehearsal for GOP voters on how he would campaign against Brown if he wins the GOP nomination. Buehler tried to upstage Brown at her media event in Eugene to tout her support for improved foster care in Oregon. Buehler, who has been a fierce critic of Brown’s leadership on foster care, scheduled his own media event at the same location, blasted Brown’s performance and recalled his legislative proposal to increase spending on foster care in Oregon by $50 million. The political troll of Brown was itself a prime example of what challengers have to do to unseat incumbents. But the timing and intensity of Buehler’s media event was probably intended to impress undecided GOP voters that the Bend Republican will do more than recite conservative doctrine if he is the Republican who wins the job. Buehler has taken pains to create a political image outside the shadow of Donald Trump on the fairly safe grounds that Oregon is anything but Trump-friendly. His purported variance from conservative orthodoxy, including on emotion-charged issues such as abortion, haven’t necessarily swayed a segment of Oregon’s conservative political base. That’s why Oregon Right to Life threw its support behind Sam Carpenter, the opponent Buehler pointed out who has all those tax liens. Since primary elections in Oregon and generally are bastions for the partisan faithful, Buehler could wind up next Tuesday as the candidate with the best chance to test Brown, but who can’t win his own primary. His best hope is to convince Republicans that having a chance to win in November is more rewarding than basking in the defeat of a political moderate in May. His struggle to convince GOP conservatives was evident when he barely squeaked out a victory in a straw ballot among generally more moderate Washington County Republicans. It should be noted that only 75 Republicans showed up for the unusual pre-primary event. And that’s the problem with the formula for defeating incumbents. It takes one more element to pull off the upset. After beating up the incumbent and touting your own competence, you need to make sure voter turnout favors your candidacy. That may not be the case on Tuesday for Buehler. In what is viewed as a lackluster primary, turnout could be relatively low, which could mean a higher percentage of bedrock conservative voters. Much of Buehler’s general election appeal is to the growing group of non-affiliated Oregon voters. Unfortunately for Buehler, independent voters won’t get the chance to weigh in his primary gubernatorial bid. Meanwhile, Brown faces only token opposition in the Democratic primary and will enter the general election with her campaign war chest intact and robust. Buehler may represent her toughest opponent, but only if he earns the GOP nomination on Tuesday. As odd as it may sound, the only way to protect valuable farmland in Oregon may be to train a new generation of farmers who can make a decent living farming that land. Despite Oregon’s pioneering land-use system designed to protect farmland from development, other factors are putting pressure on agricultural enterprises in the state. “The tidal wave of farmland transition isn’t coming – we’re in the middle of it,” proclaims Nellie McAdams, farm preservation program director for Rogue Farm Corps, in a blog posted by EcoTrust. Between 2012 and 2032, McAdams says, almost two-thirds of Oregon’s 16.3 million acres of ag land will change hands, in large part because the average age of Oregon farmers and ranchers is 59.6 years old. She claims many farmers and ranchers lack a solid succession plan and the number of beginning farmers and ranchers is on the decline. What’s happening to farming and ranching in Oregon is part of a global migration of people to urban areas. Family farms are harder to run profitably, which makes selling off the land to investors or industrial farms more attractive. Farms close to cities are prime targets for urban expansion to provide housing for new city dwellers, when their land becomes irresistibly more valuable than their crops. In more sparsely populated rural areas, smaller ranches can easily be converted into trophy home estates. Oregon’s land-use system has slowed the loss of valuable farmland, McAdams says, with the conversion of 500,000 acres in the four decades since land-use protections were enacted. Compare that to the loss of 678,000 acres of farmland in Washington in just the last 10 years. However, farmland without farmers is a problem. The goal of the Rogue Farm Corps is to “offer hands-on, on-farm training in four regions of the state to build capacity in the next generation,” McAdams writes. Training farmers may sound oddly out of character, but it may be a key to the survival of agriculture and preservation of farm and ranch lands. One piece of the training is how to hand down farming and ranching operations to a new generation of non-family members. Sustaining robust agricultural enterprise also will require urban assistance. Farmers need savvy consumers. As McAdams describes, EcoTrust is sponsoring an accelerator program to give farmers business training and instruction on how to enter wholesale and international markets. The program also encourages institutional food service buyers to invest in stronger regional food networks. Oregon has prided itself on polite politics and transparent campaign finance. But that reputation could be tested in this election cycle with bruising political battles and a rise of dark money financing for ballot measures. Oregon has a reputation for polite, transparent politics. That reputation may change in this election cycle because of “hardball tactics” by Priority Oregon, a pro-business organization committed to challenging the hegemony of Democrats in the state. Formed a year ago, Priority Oregon entered the political field by opposing efforts by legislators in 2017 to craft a gross receipts tax that would have assessed businesses on sales versus profits. Now it is spearheading four initiatives that take aim at unions, state spending and legislative approval of tax increases. OPB’s Jeff Mapes has reported business lobbyists describing Priority Oregon as “designed to take a more hard-nosed approach to politics, unencumbered by the mainstream business community’s need to maintain ties to the Democrats who largely run state government.” Priority Oregon’s task is apparently not to make nice with Democrats. So-called dark money is no stranger to politics, but isn’t common in Oregon, where public disclosure is the rule and the routine practice. Erica Hetfeld, who is heading Priority Oregon, has promised the group will be more visible this election cycle, but not necessarily more transparent. Priority Oregon was established as a nonprofit 501(c)(4) entity that is allowed to engage in public activities without the same disclosure requirements as a political action committee. Financial disclosure forms filed with the Elections Division indicate the Oregon Farm Bureau, Associated Oregon Loggers and Automobile Dealers Association of Portland have contributed to political action committees aligned with Priority Oregon-backed ballot measures, which are collecting signatures. Initiative backers must turn in the required number of signatures by July 6 to qualify for the November Oregon general election ballot. Political Action Committees supporting Initiative Petition 31, which would require legislative supermajorities for any state tax revenue increases, and several other petitions (IP 34, 36 and 33), have collectively spent $146,000 during this election cycle with Ballot Access, LLC to collect signatures, according to state records. Initiative Petition 34, which would make Oregon a right-to-work state, seems relatively quiet awaiting a ruling by the US Supreme Court in the matter of Janus v. AFSCME. The court heard arguments February 26 on the potentially precedent-splintering case. If that decision results in a victory for Union supporters, you can expect fundraising and advocacy to increase. Initiative Petition 36 would create a state government spending limit and require excess revenue to reduce the Public Employees Retirement System unfunded liability. Another major effort expected on the ballot in November, Initiative Petition 37 would ban a tax on groceries. IP 37, as you might imagine, has attracted substantial financial support from major grocers like Costco and Albertsons-Safeway. In addition, it's spent over $300,000 for petition signature gatherers and management support from conservative firm Morning in America since December of 2017. More rough-and-tumble politics also is expected in the gubernatorial race. Democratic Governor Kate Brown is running for a full 4-year term and may face Republican Knute Buehler who has positioned himself as a politically moderate alternative. Like a running back on a bad football team, Buehler’s biggest challenge may be getting past the line of scrimmage in the GOP primary that often is dominated by more conservative voters. While Buehler has raised more campaign funds than his conservative fellow candidates, their views may be more in line with current thinking within the Republican Party. There is an interesting twist to Buehler’s campaign. Rebecca Tweed, his campaign manager, also runs Grow Oregon, which major business leaders created in 2012 to counter the success of Our Oregon, a union-backed political group that advocates for tax hikes in the name of economic and social fairness. Grow Oregon and Our Oregon are both nonprofits, not PACs. 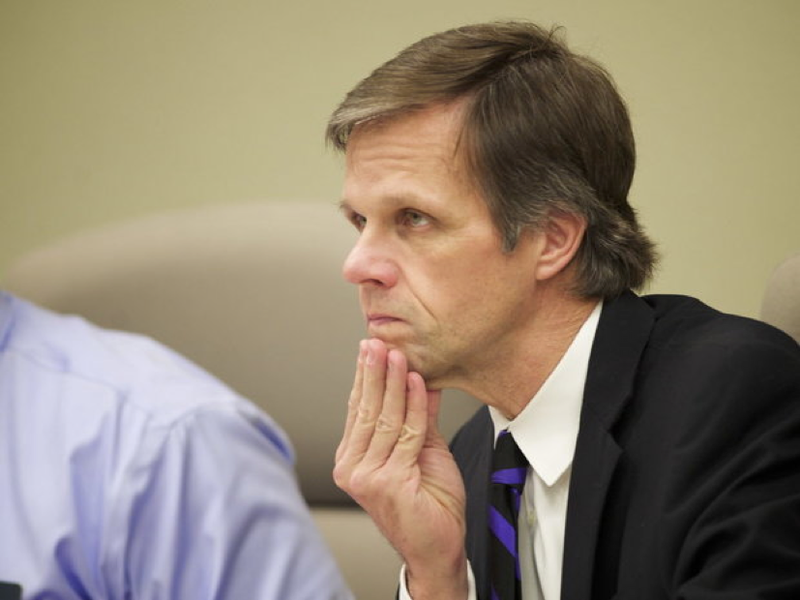 Before leaving for Priority Oregon, Hetfeld was director of Grow Oregon. It is a recipe for a ripe family feud with plenty of money spread around to make a lot of noise. Toss in a few additional spicy ballot measures that are circulating for signatures and you could have one of the hottest elections in some time. Some of the measures in circulation include restoring legislative term limits, requiring publicly traded corporations to disclose their state taxes, requiring proof of citizenship to vote and repeal of Oregon’s sanctuary state law. Oregon’s 2018 gubernatorial election has been relatively quiet so far, with Governor Kate Brown biding her time until the fall general election and front-running GOP challenger Knute Buehler trying to find a way to win the primary without getting beaten up on the campaign trail. Oregon’s gubernatorial race continues to be a low-key affair with the election now just six weeks away and ballots due to arrive in mailboxes before then. Democratic Governor Kate Brown doesn’t face any credible primary opposition and seems to be waiting to see who Oregon Republicans will choose to face her in the fall general election. 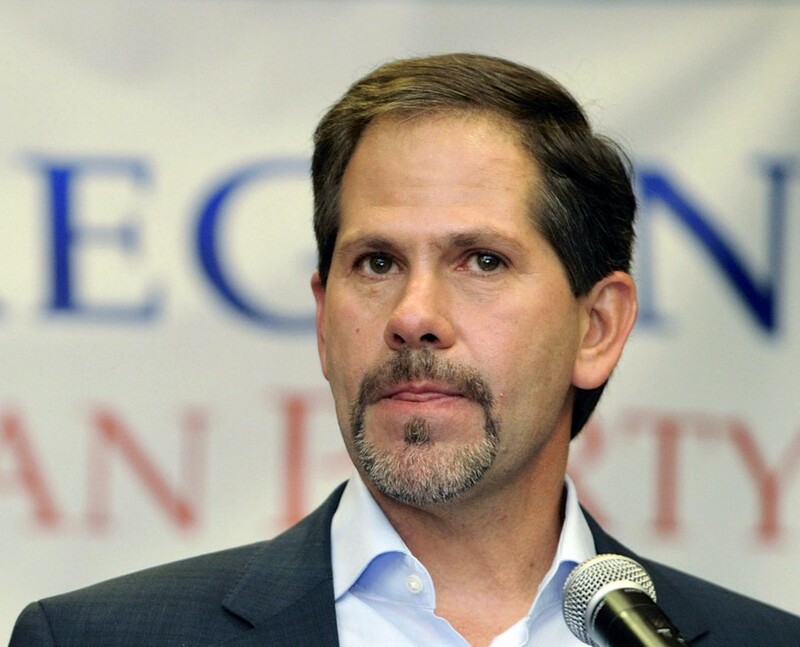 Rep. Knute Buehler from Bend has raised the most money among GOP candidates and struck a moderate political posture on abortion and guns, making him potentially a strong candidate to woo independent and alienated Democratic voters in November. However, Buehler, an orthopedic surgeon, has to win the May 15 primary against more right-leaning opponents, including former Blue Angels Commander Greg Wooldridge, who has been endorsed by Oregon Right to Life, and Bend businessman Sam Carpenter, who is an unapologetic supporter of President Trump. The annual Republican Dorchester Conference straw ballot early in March favored Wooldridge over Buehler. Buehler downplayed the result, saying he had little time to mix and mingle with Dorchester conferees because he was in Salem for the short Oregon legislative session that adjourned just when the conference was beginning. Others viewed Buehler’s loss as his weakness with what have come to be called Trump voters. Since then, Oregon Public Broadcasting reports Buehler has skipped several candidate forums attended by his GOP gubernatorial rivals, which has raised questions. “People are asking why. You know, it’s peculiar,” Baker County GOP Chairwoman Suzan Ellis Jones told OPB. Wooldridge’s campaign team has been blunter. “What is he hiding from. If he’s not willing to meet people face-to-face, I’m not sure he’s really ready to represent the people of Oregon,” said Russ Walker, a Woolridge campaign strategist. There are 10 Republicans vying to take on Brown. Buehler has reported a campaign war chest of more than $3 million, while Wooldridge and Carpenter are the only other two hopefuls who have raised more than $100,000. Nobody’s campaign has taken to the airwaves so far. Buehler is betting his experience serving two terms in the Oregon legislature, fundraising connections and moderate policy positions on reproductive rights and gun control will convince Republicans that he is the only GOP candidate with a chance to defeat Brown and become the first Republican since Vic Atiyeh to sit in the governor’s chair. Most of Buehler’s statements have come in the form of criticizing Brown. Buehler reportedly bypassed challenging Brown in 2016, when she ran to fill the remaining two years of former Governor John Kitzhaber’s fourth term, because Democratic turnout was expected to be high in a presidential election year. However, 2018 may not be all that different as Democrats have energized their political base in response to actions by Trump, such as undermining Obamacare, challenging legalization of marijuana and dismantling environmental regulations. The Trump tax plan that will limit federal tax deductions for state and local taxes and Trump’s tariffs on trade with China have irritated upper-income Oregonians and alarmed farmers. Trump’s overall favorability rating in Oregon hovers below 40 percent. Voters along the I-5 corridor from Eugene to Portland are reliably Democratic, but there will likely be more Democratic electoral efforts in rural Oregon aimed at Greg Walden, Oregon’s lone GOP congressman. The Republican gubernatorial nominee, whoever it is, may be forced to spend time and resources to defend the Red State part of Oregon. In the general election, Brown will be attacked as a weak leader who has presided over state agency foul-ups and resulted in a fairly high turnover rate of agency leaders. Brown will cite her leadership in a major transportation funding measure, a hike in the state minimum wage and create of a state-sponsored retirement savings plan. Buehler probably will need to dig into his campaign fund to raise his visibility before the primary, while Brown probably will hold off any major media outreach until the general election campaign is underway. She has the luxury of using the next few months to bolster her $3.2 million campaign bank account. That means for now, Oregonians can enjoy the relative quietude of the gubernatorial race. It promises to get a lot noisier and nastier. The opioid crisis is not some distant national epidemic. It affects Oregon communities and families every day. Addressing the opioid crisis will require more than bumper sticker policies, especially for the people hooked on painkillers because of excruciating chronic pain. Opioid addiction is a national epidemic, but its toll is actually exacted at the local and family level. Just ask Oregonians who live in a state ranked with the sixth worst drug problem in the nation. If you want to see the opioid epidemic up close, you don’t have to book a flight to Appalachia. Oregon ranks fourth for teenage drug abusers. And, Oregon ranks first, according to federal data, for older adults hospitalized for opioid-related issues. "We have a massive problem," Mark Kruger, a 23-year veteran who is now a captain with the Portland Police Bureau’s drugs and vice division, told KATU-TV. "We're seizing larger quantities of methamphetamine and heroin and cocaine in Portland than we have historically ever seized." Now there is a new threat from street fentanyl, which is an opiate on steroids, available online and often a one-way ticket to the morgue. "Children now can buy fentanyl on the dark web using bitcoins for currency and they can overdose in their own bedrooms on a substance that no one really knew about a couple of years ago," Kruger said. This is shocking news for many Oregonians who imagine they live far from the madding crowd. Like many other American communities, we live in ground zero of a drug epidemic. That reality is painful for Oregonians who were blazing a trail through a pair of ballot measures in the 1990s that weighed “death with dignity” measures with the shortcomings of pain management. Medical practitioners admitted they were negligent in recognizing the pain endured by terminally ill patients. Doctors kept their word and found ways to curb pain, not just for the terminally ill, but also for those suffering from numbing chronic pain. But it wasn’t enough. 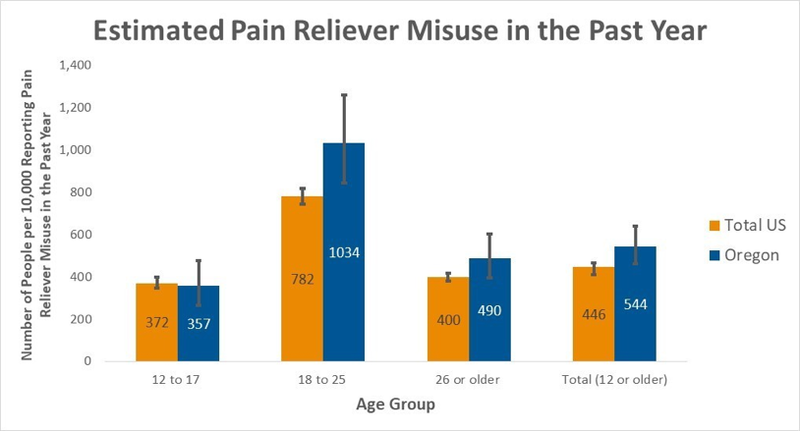 In 1998, Oregonians voted to allow the use of doctor-recommended medical marijuana, ostensibly for pain related to cancer treatment, but often for men and women suffering from work-related back pain. Twenty years later, Oregonians are still auditioning painkillers, from heroin to a synthetic version of anesthesia. A common temptation is to hang the drug dealer from the highest tree. However, that overlooks the demand side of the equation. Many people hooked on opioids and other painkillers aren’t looking for a thrill; they are trying to find a way to get through the day without debilitating pain. Like a lot of complex problems without simple solutions, drug addiction has many contributors. There are the thrill-seekers. There are people who think life is better when they are high. But there are a whole lot of people who just want to get through an afternoon without excruciating pain. Prescription drugs are in the cross-hairs of lots of politicians because of high prices and increasing levels of addiction. The coziness between doctors and drug companies has come under scrutiny. So has over-prescribing of painkillers and flimsy rationale for medical marijuana cards. Recreational use of drugs has blurred with medical use. The financial opportunities for legal and illegal distribution of drugs makes the mix even more lethal. The proximity of the opioid problem to Oregon communities should provoke empathy and kindle an instinct for nuanced responses. People who get hooked on drugs for fun is one problem. People who get hooked on drugs to dull pain is another. Both require human responses, not criminal indictments. A nuanced response may require people to accept approaches and practices they otherwise would reject out of hand. Hopefully as a civilization we have advanced beyond dealing with contagion by burning the bodies. The men, women and children afflicted by drug addiction deserve something better. They deserve policies that strike at the root of addiction, not the symptoms. Statistics can be barren and devoid of sympathy. But statistics also arouse human instincts that people are in pain. We need to find a way to ease that pain without addiction. It is an assignment Oregonians have debated for decades, and now it’s time to do the homework and hand in a winning essay. Oregon lawmakers continue to struggle to find the right mix for the short, even-year legislative session. They adjourned last Saturday after leaving a much-ballyhooed cap-and-invest bill sitting in committee along with a constitutional amendment to treat health care as a right. Yet, lawmakers did notch notable accomplishments by tightening gun restrictions on domestic abusers, updating the state’s advance directives statute, requiring more transparency on drug pricing and changing the governance structure of Salem-Keizer Transit in return for future access to a local payroll tax. And lawmakers didn’t totally avoid controversy. 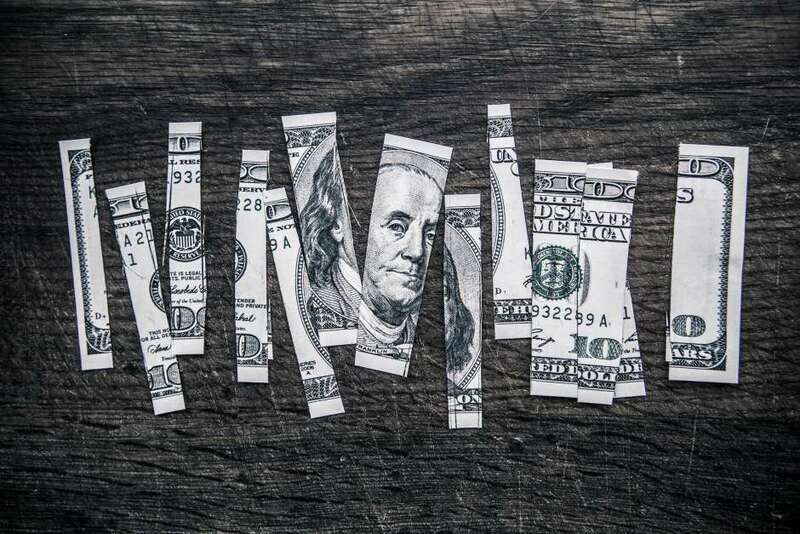 With largely Democratic votes, the legislature approved a bill that disconnected from the recently adopted federal tax cut to prevent Oregon small businesses from taking advantage of a previous Oregon tax concession and a new lower 20 percent federal tax rate. There were rumblings Governor Kate Brown might veto the state tax measure, which drew strong opposition from business groups. The short session also served as a shadow boxing venue for Brown, who is seeking re-election this fall, and her most prominent GOP challenger, Rep. Knute Buehler of Bend. During the session, Buehler laid out his planks of his campaign platform, such as additional investments in child welfare and taking stronger measures to curb the opioid epidemic in Oregon. Brown responded by asking for $14.5 million more for child welfare case workers and pushing her own priority opioid measure. The shadow boxing hasn’t stopped with legislative adjournment. Buehler called on Brown to veto the Democratic tax bill scrapping a small business tax break. If Brown vetoes the legislation, Buehler will claim credit. If she doesn’t veto the bill, he will condemn her for denying a tax break to small businesses. The short session was shorter than the 35 days constitutionally allowed. Republicans wanted to head to the beach for the annual Dorchester Conference. Others sped north on the freeway to attend a retirement roast for veteran homebuilder lobbyist and stand-up comic Jon Chandler. Still others braced for filing deadline Tuesday. Perhaps notwithstanding Brown’s potential veto of tax legislation, GOP Senator Brian Boquist is entertaining a legal challenge clarifying what legislation is truly a “revenue raiser” and on whether a measure to disconnect from the federal tax code that generates new revenue can be approved without a three-fifths majority vote. In all likelihood, the dawning of primary election season will overshadow what did or didn’t happen in the short session. The primary will be held May 15, which is less than 10 weeks from now – plenty of time for campaign coffees, lawn signs and mailers. No single issue is likely to dominate the Oregon 2018 legislative session that begins Monday, but lawmakers will still be busy with issues ranging from reconnecting to the federal tax code to gun restrictions. And there will be some political jockeying in advance of the Oregon primary in May and general election this fall. Voter approval of Measure 101 and Senate Democratic cold water on cap-and-invest legislation may remove much of the anticipated drama at the 2018 Oregon legislative session, which convenes Monday. Of course, any legislative session during an election year can have outsized political tensions. Without a focus on patching a big budget hole or trying to thread the needle for a compromise on cap-and-invest provisions, there isn’t an apparent single issue that will dominate the session with an adjournment deadline of March 11. One of the sleeper bills likely to draw attention is legislation to connect Oregon’s personal and corporate income tax system with federal tax changes enacted by Congress late last year. Oregon lawmakers have tended to favor connecting Oregon’s tax provisions with their federal counterparts for the ease of taxpayer filing. But there may be other considerations this time around, including how the new federal limitation on state and local tax deductions will affect Oregon taxpayers. The Oregon business community wants to see substantial progress on reducing the unfunded liability of the Public Employees Retirement System, but that appears unlikely in the short 2018 session and during an election year. Governor Brown will ask lawmakers to create an Employer Incentive Fund to provide matching money for public employers that accelerate their contributions to PERS. The pressure to act also was relieved by the Oregon State Treasury’s announcement that the PERS fund posted a 15.3 percent gain in 2017, which is good news, but not enough to stem rising costs. Other priorities for Brown in the short session include a measure to encourage construction industry startups in rural areas that can access low-rate loans from Business Oregon to build affordable housing. Licensing requirements also would be relaxed and grants would be available to defray the costs of apprentices. Brown wants all licensed opioid prescribers in Oregon to register with a Prescription Drug Monitoring Program to generate information about opioid use and identify illegal prescribers. Her proposal also would provide for mentors in emergency departments to counsel people who have overdosed. Another Brown priority is to create a reverse auction for state procurement as a way to squeeze more value and less cost for state expenditures. Her concept is to generate more competition among state vendors who benefit from the $8 billion Brown says state agencies spend every biennium. The governor is seeking a bill to prohibit people convicted of domestic violence or stalking from purchasing firearms. Oregon lawmakers approved legislation last year to empower courts to order the confiscation of guns owned by people deemed at risk of suicide or hurting others. Passage of Measure 101, which secures funding for Oregon’s Medicaid program through this biennium, prompted Rep. Mitch Greenlick, D-Portland, to propose a constitutional amendment that declares health care is a right of every Oregonian. He has attracted 40 cosponsors for his referral that would appear on November 2018 general election ballot. Likely GOP gubernatorial frontrunner Knute Buehler, R-Bend, is pushing legislation to force coordinated care organizations to repay up to $74 million in Medicaid overpayments and address transparency and management issues by the Oregon Health Authority. Buehler has called for bipartisan action, but his measure will invariably have a vapor trail of politics following it. Some familiar legislative faces will be missing. Long-time Senate Minority Leader Ted Ferrioli and Senator Richard Devlin, the Democrat’s budget guru, have moved on to appointed posts on the Northwest Power Council. Cliff Bentz, who has served in the Oregon House since the 2009 session, assumed Ferrioli’s seat and Senator Jackie Winters was chosen to succeed Ferrioli as minority leader. Rob Wagner, a Lake Oswego School Board member, was appointed to fill Devlin’s seat. Governor Kate Brown told Measure 101 supporters at Tuesday night’s victory party that voter approval of the Medicaid funding plan shows Oregonians support a GSD (Get Stuff Done) agenda. Voters in yesterday’s special election overwhelmingly approved of Measure 101, which leaves in place the Medicaid funding plan approved by the 2017 Oregon legislature. It also lifts a huge fiscal burden off the shoulders of lawmakers in the short 2018 session that begins February 5. The die was cast when, early in the evening, results indicated nearly 80 percent of Multnomah County voters approved Measure 101. Even though half of Oregon’s 36 counties, many of them rural, voted against Measure 101, they were heavily outvoted with strong support among higher population centers across the state. In a low-turnout election, the side that wins is usually the side that can motivate voters to cast ballots. The pro-Measure 101 campaign had the broad coalition support, cash to advertise and the foot-power to get out the vote. Measure 101 opponents had none of those things. More than 180 organizations, both large and small, came together in dozens of advocacy events to show support in protecting healthcare coverage funding approved during the 2017 legislative session. Referenda usually start as political quarrels in legislative sessions, which was the case for Measure 101. Whereas in recent sessions, funding mechanisms paying for Oregon’s Medicaid program had enjoyed bipartisan support, the enhanced tax proposal in 2017 met with partisan objections from some Republican lawmakers. Led by Rep. Julie Parrish (R-West Linn/Tualatin) and Rep. Cedric Hayden (R-Roseburg), opponents called it unfair and declared it a “sales tax on health care.” Similar messaging was used successfully during last year’s M97 debate and opponents were trying to drum up support from Oregon voters who reacted to that rhetoric. Supporters of the admittedly complicated Medicaid funding mechanism fought back, saying it was the best bipartisan plan to raise the money necessary to attract federal Medicaid matching dollars. They said opponents raised objections, but offered no politically viable alternative funding plan. In the end, the $3.6 million campaign drowned out the opposition campaign, which reportedly spent less than $150,000 (a significant chunk of that raised in personal loans from Rep. Hayden). While TV ads provided air cover, the real difference was in the get-out-the-vote drive, aided by union and hospital supporters of Measure 101. A key takeaway from this election may be the impact on future efforts by minority legislators or interests who seek to alter agreements they oppose. With M101 receiving more than a 6o percent majority, those parties may think twice before attempting similar fights on other legislative packages. Oregon’s referendum process is there for a reason, but legislators already have a mechanism for debating the validity and appropriateness of these type of budget and policy issues. Through the election process, voters can hold their elected leaders accountable for their work. More than 1 million Oregonians are covered by Medicaid, which represented a fertile target audience to turn out to vote. In a relatively low-turnout election, a motivated group of voters can make the difference. This was an election decided by urban Oregon voters. Majorities in big counties for Measure 101 ranged from 79 percent in Multnomah County to more than 65 percent in Benton and Lane counties. Jackson County in Southern Oregon went 58 percent for Measure 101. Suburban Washington County favored Measure 101 by more than 60 percent and Clackamas County, which Parrish represents, gave the measure a 58 percent plurality. Marion County went for Measure 101 by a 55 to 45 percent margin. Oregon’s last special election was in 2010 when the state debated M66/67, which raised personal income tax revenue on the state’s highest-earning individuals and corporations. In that election, 1.28 million Oregonians cast ballots, representing 62.7 percent of eligible voters. Final numbers for M101 are yet to be released, but estimates are significantly lower. The victory for Measure 101 was declared at 8 pm when the first batch of ballot totals were released. Oregon state economists say worker shortages, especially in skilled trades, have bedeviled the state’s economy for some time, but that shortage may become more serious and long-term as retirements outstrip new job market entrants and immigration is curtailed. When you think of impediments to economic growth, you don’t typically think of worker shortages. But Oregon state economists say that is becoming one of the most pressing problems job-creators here face. After nine consecutive years of US economic expansion, a tight labor market isn’t a huge surprise. But the availability of labor is being impacted by non-economic factors such as demographics. Baby Boomers are retiring and immigration is being restricted. Nearly 80 percent of the prime-age working adults (ages 25-54) in Oregon have a job, which is the same level as pre-recession employment levels. Lehner says there is still a little more leeway. The average employment level for this age group between 1993 and 2001 was 82 percent. But it may not be enough to offset the sheer number of retirements. Employers have faced skilled worker shortages for some time and retirements could aggravate that shortage even more. Automation in manufacturing and service sectors may relieve some pressure, but at the same time may increase the demand for workers who know how to operate and maintain robotic systems. In-migration and immigration could help. Oregon has benefitted from an influx of younger people working or seeking work in creative fields, but not so much in skilled trades. Some Oregon employers are redoubling efforts to create opportunities for under-represented populations in manufacturing and other business sectors, but that could take years to realize and still not meet demand. The cost of housing is another factor influencing worker availability. Portland is a hot housing market, which has driven up rents and home values. Some potential workers, especially at entry professional levels, may seek elsewhere with lower costs of living. Of course, a recession could impact the labor market by shrinking the number of jobs. Lehner says Oregon has reached a tipping point where even an economic downturn may not reverse a tight labor market. Oregon lawmakers will debate a cap-and-invest program at the short legislative session beginning in February that could generate as much as $700 million in new annual revenue to invest in projects statewide to reduce carbon emissions, but opponents warn also could drive up fuel prices, hurt family farmers and disproportionately harm rural residents. As Oregonians ponder how to vote on Measure 101 by January 23, Oregon lawmakers are sharpening their arguments for and against legislation in the 2018 session to cap industrial carbon emissions. Defeat of Measure 101, which contains $320 million in fees on hospitals and health insurers to sustain Oregon’s Medicaid program, could throw a wrench into the short, six-week legislative session that starts in February. However, regardless of the Measure 101 vote, what supporters call the Clean Energy Jobs Act is likely to be a center-stage issue. The Oregon proposal, developed through a work group and championed by Senator Michael Dembrow of Portland and Ken Helm of Beaverton, both Democrats, is modeled after an existing cap-and-invest program in California. If enacted into law here, Oregon businesses would be given a limit for their carbon emissions. The estimated 100 Oregon businesses that are likely to exceed the proposed limit would be required to buy market-priced allowances. The allowances would be sold at a North American auction and the revenue generated would be invested in Oregon projects intended to slow climate change. Backers of the idea say it could generate as much as $700 million annually, providing funding for electric vehicles, residential solar panels, improved bike lanes and utility bill assistance for low-income and elderly Oregonians. Leading Oregon business and farm groups aren’t so enthusiastic. They warn cap-and-invest will result in higher energy bills, discourage business growth in Oregon, hurt family farm owners and disproportionately harm rural residents. Mark Johnson, a former GOP legislator who now heads Oregon Business & Industry, worries there isn’t enough time in a short session to negotiate an acceptable compromise on such a complex issue. Similar legislation has been debated in Oregon in previous sessions. This time there seems to be stronger, more unified political support, including from Governor Brown, that might push it through in the 2018 short session in which Democrats control both the House and Senate. The final version of the legislation is still in flux and isn’t scheduled for public release until next week. Dembrow and Helm are working on ways to mitigate concerns, such as earmarking 20 percent of cap-and-invest proceeds for projects in rural Oregon. There are strong coalitions working both for and against the proposed legislation. Renew Oregon touts the legislation’s ability to drive clean energy job growth in Oregon. The legislation is also supported by the Oregon Business Alliance for Climate. The campaign against the legislation is organized under the banner of Oregonians for Balanced Climate Policy, which has been around since at least the 2009 session opposing what was then called the Green Jobs Act. The nerdy issue of net neutrality has stirred up a national hornet’s nest as the Federal Communications Commission repeals an Obama-era rule that critics say guaranteed a free and open internet, but supporters claim would hold back internet innovation with government regulation. The issue has turned into yet another partisan fistfight. Mere minutes after the Federal Communications Commission on a split 3-2 vote ended net neutrality last week, Washington state’s attorney general filed suit to neutralize the FCC’s action on procedural grounds. Washington Governor Jay Inslee has an even more ambitious plan. Inslee has come up with five options to force internet service providers in Washington to live up to net neutrality standards. Perhaps the most aggressive option is to empower Washington public utility districts to offer internet service and compete with big-league telecommunications companies. Washington lawmakers – from both political parties – aren’t far behind. Bills have been introduced for the 2018 session that would forbid internet providers from throttling speeds or charging to prioritize traffic – two of the main concerns expressed by net neutrality supporters. The FCC anticipated state-level resistance and added a preemption clause. That will be challenged, too. The main legal challenge will center on the FCC’s process, which included a public record featuring as many as 2 million bot-driven comments. David Olson, who until 2012 oversaw cable and broadband development in Portland, played a notable role in what emerged as the concept of net neutrality. Oregon has joined with a number of other states in the legal challenge to FCC’s action and, given the state’s history on internet openness, may look at legislative options in 2018, too. A sign of our digital times, the FCC’s repeal of net neutrality has stirred up greater national angst than the GOP-backed $1.5 trillion tax legislation or the investigations into Russian meddling in the 2016 election. However, net neutrality is no less politically polarizing. The FCC hearing room was cleared before the vote because of unruly protests. Democratic opponents say repeal of net neutrality will signal the “end of the internet as we know it.” Republican supporters say the internet grew without a net neutrality rule, which was only adopted in 2015, and will continue to flourish after the rule is overturned. FCC Chairman Ajit Pat issued a video where he appears to mock critics. Comcast, one of the expected beneficiaries of net neutrality repeal, went to Twitter to say it wouldn’t violate net neutrality principles. One of the leading defenders of net neutrality is Oregon Democratic Senator Ron Wyden. One of the best expositors of net neutrality repeal is Oregon GOP Congressman Greg Walden. Wyden says repeal is the equivalent of “trickle-down telecommunications.” Walden predicts innovation will continue to propel the internet and ensure competition. All this for a nerdy issue that a few years ago nobody ever had heard about, but which underscores how important the internet has become to virtually every aspect of business, education, medicine, research, communications and social interaction. We certainly haven’t heard the last of net neutrality. Court challenges, a push to reverse the policy in Congress, state legislative action and debate on the political trail in the 2018 elections all loom. The Trump administration decision to roll back an Obama-era rule requiring electronically controlled pneumatic brakes on oil trains is likely to revive legislative attention in Oregon to require railroads to carry “worst-case” insurance and create spill-prevention plans in light of the 2016 derailment in Mosier. When they reconvene next February, Oregon lawmakers may revisit legislation to require railroads to carry “worst-case” insurance following a Trump administration decision to roll back a decision to require electronically controlled pneumatic (ECP) brakes on oil trains. Railroads opposed the rule issued by the Obama administration in 2015 in response to explosive oil train derailments, claiming the cost of ECP brakes exceeds their safety benefits. The Trump administration cited a National Academy of Sciences study that backed up railroad industry claims. The decision sparked an angry response from Northwest officials, environmental organizations and Columbia River Gorge residents in light of the June 2016 derailment of an oil train in Mosier that spilled 42,000 gallons of crude oil and igniting a fire. Union Pacific blamed the derailment on a faulty rail fastener, not the train’s braking system. Environmental activists insist ECP brakes would help because they control all train car brakes simultaneously. The rule rollback is the kind of flash-point issue that can explode into legislative action, possibly in both Oregon and Washington. Governor Brown and Governor Jay Inslee issued a joint statement calling the rollback “reckless and dangerous.” Friends of the Columbia River Gorge said the Trump administration decision points to the need for “strong legislation” requiring railroads to carry worst-case insurance and create spill prevention and crisis response plans. Similar legislation was proposed in the 2017 Oregon legislative session, but failed to pass. States have very limited jurisdiction to regulate railroads. For example, states lack the ability to ban oil trains. Brown did sign a bill in 2015 that requires railroads to notify states of oil train movements. Majority Democrats who control the Oregon House and Senate already have a major environmental issue on their plate in the short 2018 session – a cap-and-invest proposal designed to ratchet down industrial greenhouse gas emissions while generating $1.4 billion in new revenue. California already has an emissions credit system in place, which presumably Oregon would join. Business interests are opposing the legislation. The main event for the 2018 Oregon legislative session will be responding to a potential voter rejection of a pair of hospital and health insurance assessments to sustain the Oregon Health Plan. Defeat of Referendum 101 could blow a big hole in the state’s budget. By February, Oregon lawmakers should know the fate of GOP-backed tax-cut legislation, including a provision to eliminate state income taxes as a deduction on federal tax returns that would disproportionately harm states such as Oregon that rely heavily on income tax revenues. Robots could replace half of Oregon’s workforce by as early as 2030. We could be surrounded by robotic skin much sooner than that. Automation has represented a job threat for eons, but the fear was largely the stuff of science fiction and obscure graduate student theses. No more. ECONorthwest has produced a study showing jobs in Oregon ranging from flipping burgers to analyzing X-Rays are at risk of automation. To cope, we may find consolation in draping ourselves with robotic skin developed at Oregon State University that can stretch after we consume a huge Thanksgiving dinner, adjust to fluctuating temperatures and administer our medications. We may be out of work, but we barely have to get out of bed. The ECONorthwest report was fuel for conversation at the Oregon Business Summit, where the prospect of 50 percent of Oregon workers being displaced deserved to be a topic worthy of serious debate. Few jobs are immune from automation, the report concludes. Manufacturing, retail and food services are the sectors most ripe for a robotic takeover. Males in their prime working years will be hardest hit. No one can be smug as robots will crowd their way into the arts, warehousing, education and management. Not surprisingly, lower-wage jobs in the food service industry were identified as the most vulnerable to automation. More than 90 percent of the 144,200 jobs in this sector as of 2016 may morph into robots. Your fast food may never be touched by human hands until you eat it. Policymakers are asleep at the switch. Adjustments are needed in educational training and expectations, innovative companies that still need humans should be nurtured and the social safety net should be strengthened for people washed out of the workplace. Concepts such as universal basic income and health insurance coverage need to move from the political fringes to serious policy consideration. Meanwhile, back in the research lab, researchers are developing “soft robot bodies.” mLabRobotics at Oregon State University is designing “soft-bodied robots with pre-programmed shapes to enable snake-like location and gentle manipulation.” These are robots that can go where their metal cousins can’t. Researchers think the same techniques can be applied to robotic apparel, giving our skin its own skin. If we no longer elbow-by-joint with metal robots, we will be joined at the hip wearing them. Fretting over robotics is a lost cause. Robotics are hurdling forward, promising seismic shifts in how and where we work, how medical diagnoses and procedures take place and how we individually adjust to a bulging belly or a winter chill. Robots belong in the conversation about making America great again. Attempts to revive the US coal industry tell the story. To the extent more coal is mined, the digging and driving will be largely done by robots, not coal miners. Looking backward is not a viable option.